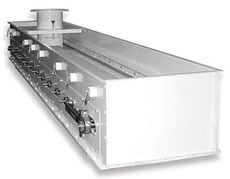 Metalfab's APB Volumetric Belt Feeder features a ruggedly built, sliding belt assembly designed for highly accurate metering of all types of powders, pellets, and agglomerates. It is exceptionally well suited for feeding abrasive materials and materials that have a tendency to smear or compress when being fed by a volumetric screw feeder. The APB is also ideal for the high volume requirements of the chemical and food industries. Feed Rates: up to 5,800 cu. ft./hr. 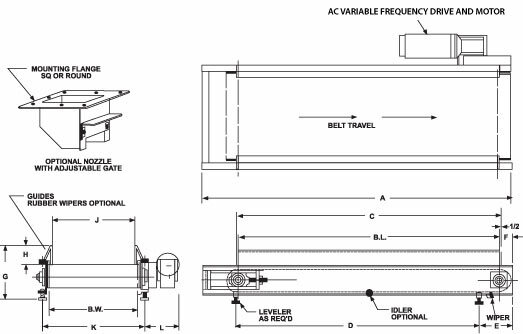 Motor: AC Variable Frequency drive is standard. Options available.